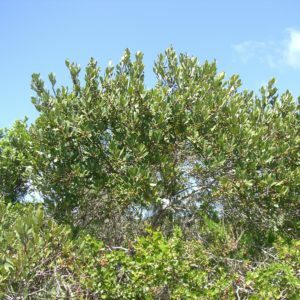 Evergreen shrub or small tree occurring in dune scrub and hence very happy in both the Park (especially along Links Drive) and the Creek. It reproduces through very deep-rooted suckers and bears fairly inconspicuous small, creamy-white, bell shaped flowers. 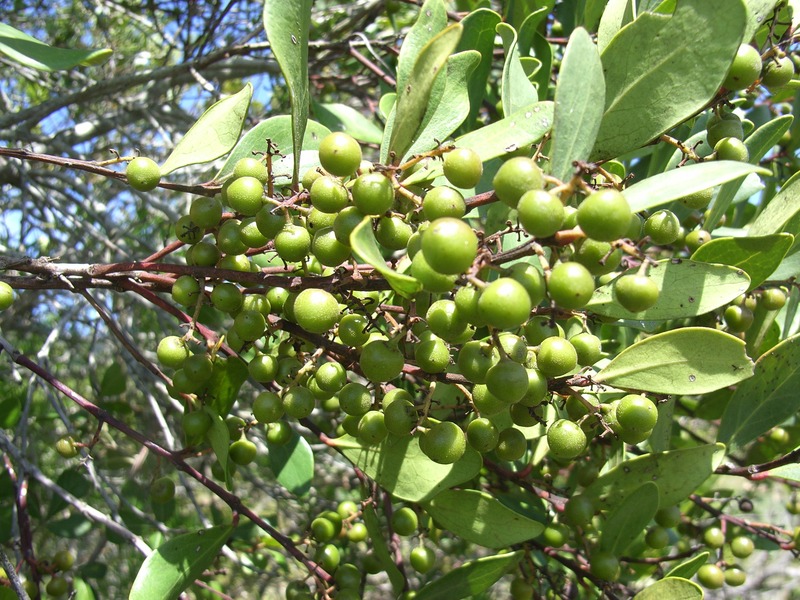 The thin fleshy, berry-like fruit (5 to 8 mm) matures from green to red.